Why did I wait so long to try this? 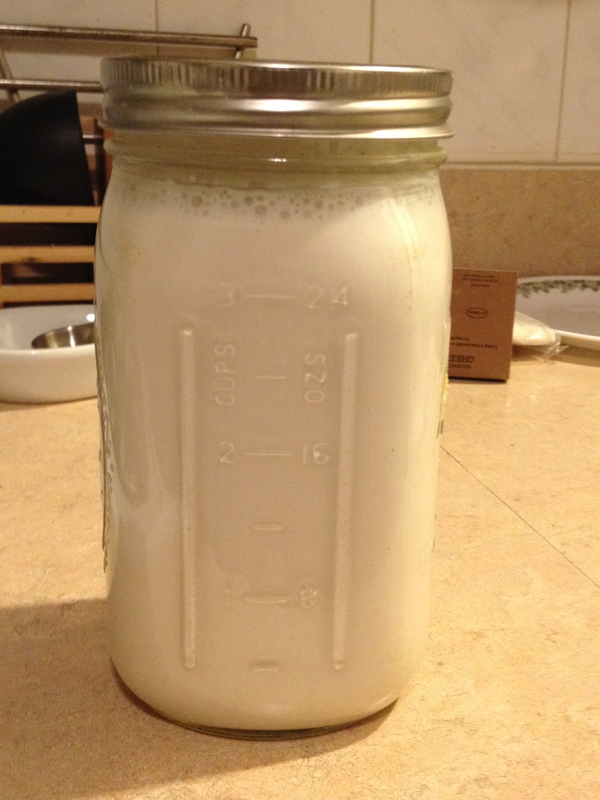 Homemade Almond Milk! Sunflower lecithin: an emulsifier that gives the milk a creamy smooth texture. Gellan and locust bean gums that are thickening agents that prevent the milk form separating. Natural flavor that could literally be anything! 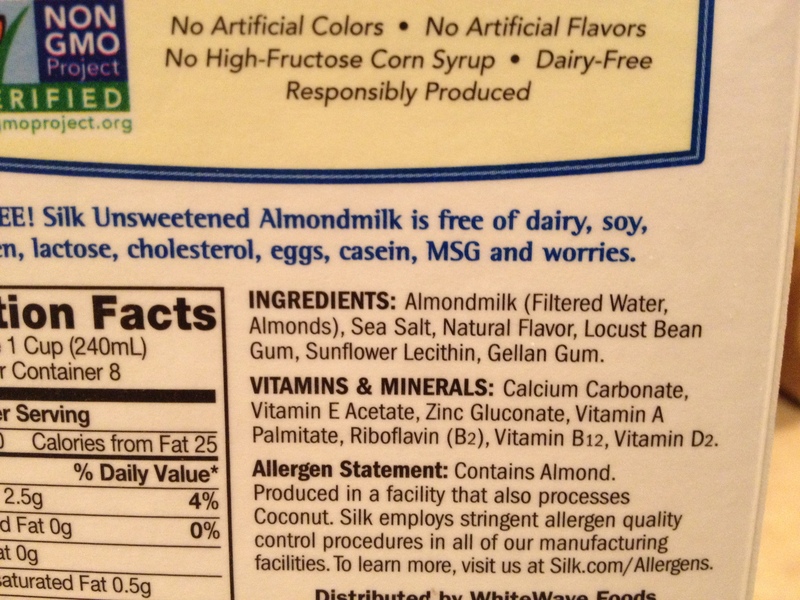 How nice would be be to drink almond milk that contains only two ingredients: raw almonds and water! 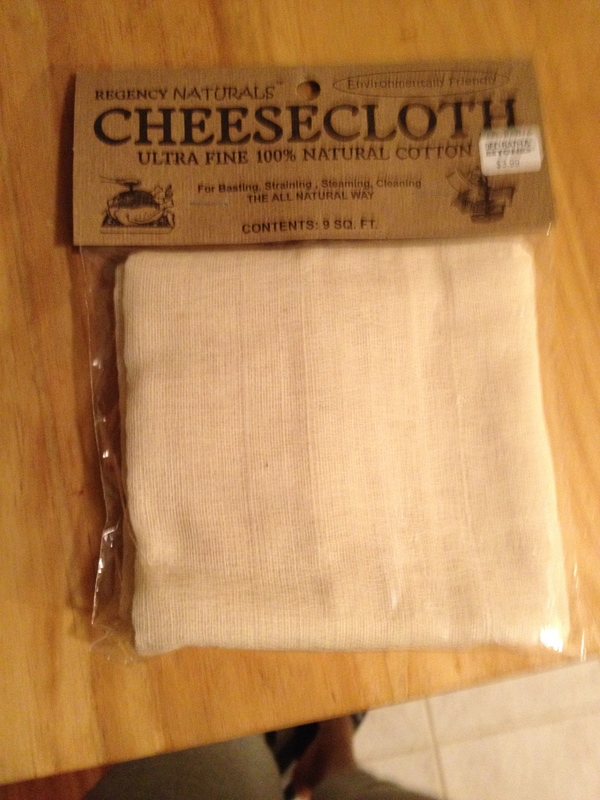 The only tool you may not have lying around is a cheese cloth. I bought some at Bed Bath and Beyond months ago and finally decided to use one today. Soak the almonds overnight or for at least 8 hours. This softens them and makes them easier to digest. Rinse almonds and toss soaking water. Place 4 cups water and almonds in the blender and blend for 2 minutes on high speed. Place strainer/sieve over a large bowl and lay cheese cloth over strainer. Pour just enough of the blended mixture into the cloth to fill the size of the strainer. 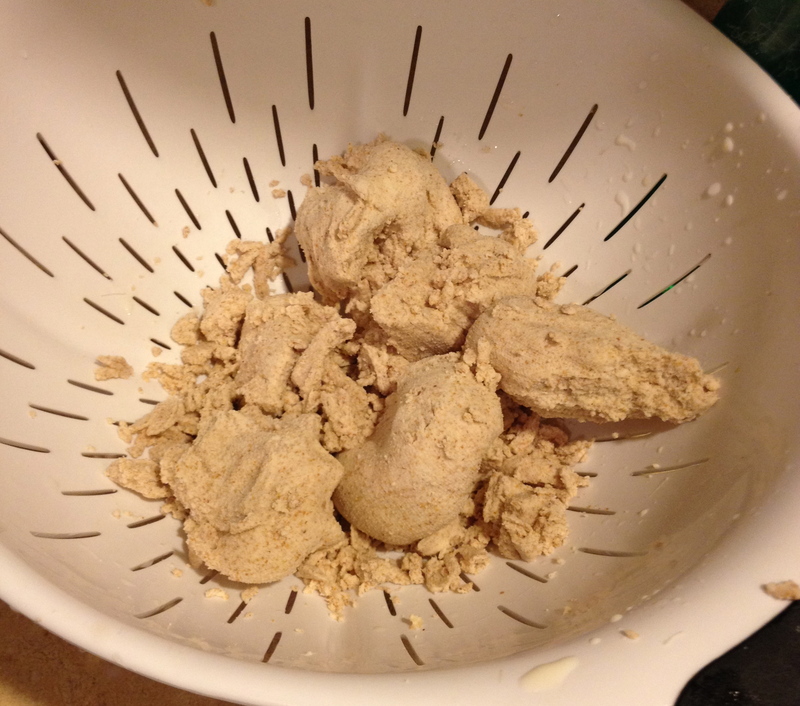 Repeat step 6 until all of the mixture has been pouched through the strainer. It makes about 32 ounces. In another post I’ll have some ideas for what you can go with the meal. I will freeze until I figure out how best to use it. 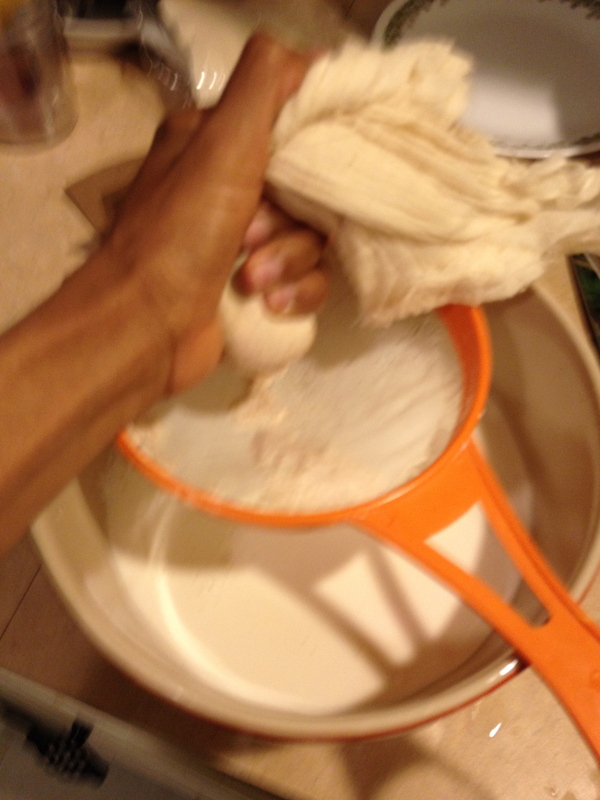 Below: squeezing the milk from the blended mixture. Finished product! Yummy. You can add vanilla to flavor it and some stevia if you want it a bit sweet. Four ways to take your health to the next level starting tomorrow.